Well, I certainly hope that all of you had a wonderful Easter and didn’t go overboard on the sweets, like I did! I had plans of showing gorgeous carved eggs (that you can see here), or at the very least sharing a cute GIF (which can be seen" here":https://giphy.com/gifs/bunny-easter-egg-3o6gDRlGZWR7acu1BS). Somehow those never came to fruition. I think I’ve been stuck in some kind of slow-motion gear that I can’t seem to get out of. However, I did get into the Easter spirit and decided to try out a pattern that I fell in love with some time ago. 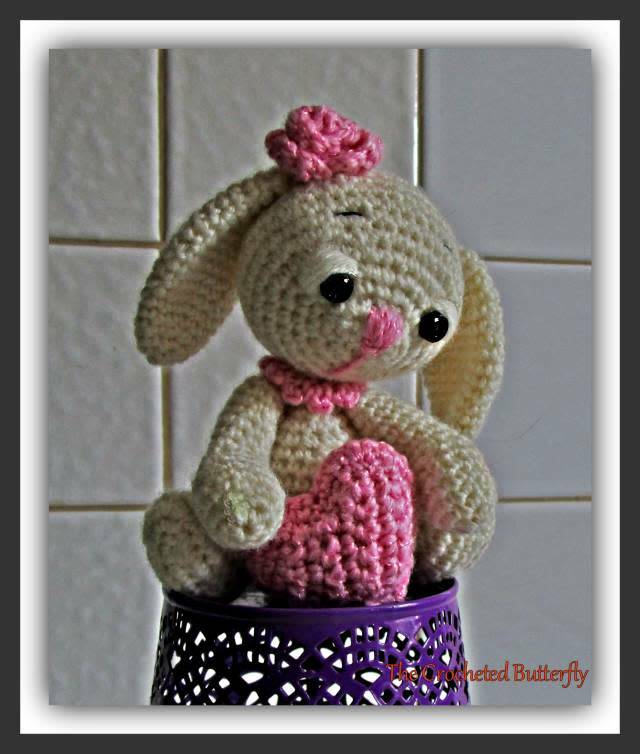 It’s the sweet “Little crochet bunny pattern” from Amigurumi Today (available for free here). I do have yarn appropriate for making this, but I ran into a problem. The yarn is fuzzy and I was having great difficulty seeing the stitches. So I decided to switch to another yarn I have – sock weight without all the fuzz. Even though my version isn’t quite as cute as the original, I still think it turned out ok. Mine just looks a bit sleepy! Arthur took pity on my Sleepy Bunny and shared one of his heart pillows with her, originally seen here. I decided that Arthur shouldn’t have to sit on a box anymore, so I ordered a comfy retro-modern chair for him. However, I need to find a way to wire him, because Arthur has a terrible problem with falling apart. (The chair, while being very stylish, won’t give him a lot of support.) I did find a site that showed how to make an “upholstered” chair and I think Arthur would be ecstatic if I could make one of those for him – but crocheted, of course. Perhaps this will be my next project? 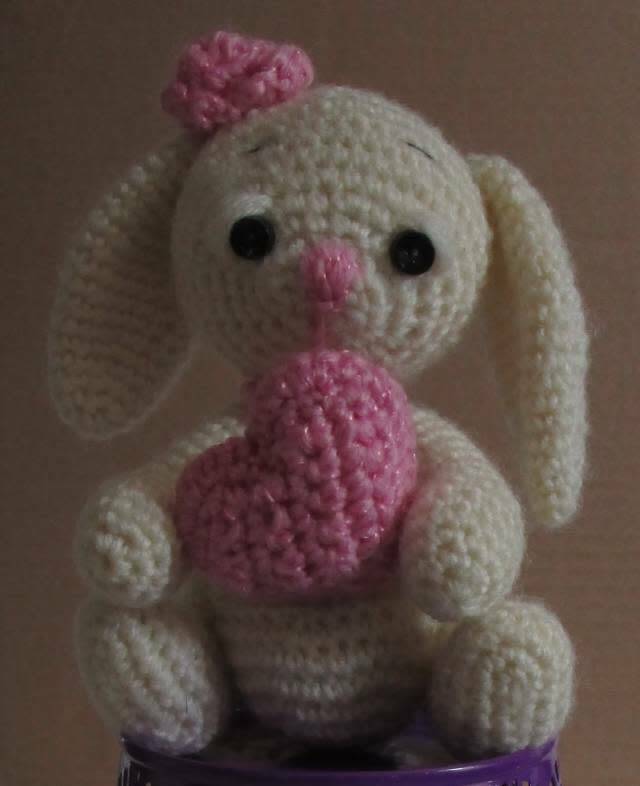 But only after I finish the current WIPs…..
I’m loving your amigurumi rabbit! I am yet to try amigurumi! This is something that I would love to try. 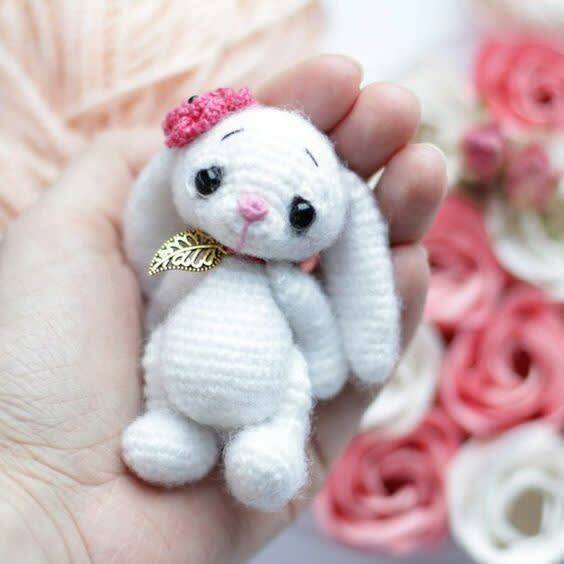 Have you been doing Amigurumi long? No, I really haven’t been doing amigurumi long. I’ve only made about a half a dozen little animals and then I tried my hand at ornament-sized elves. I’ve decided the mini-mini’s aren’t for me – the little stitches of doilies I can handle but when working in the round they get too fiddly for me; about 4" and up is good. I would suggest picking something simple and larger (6" to 9") for the first time, especially if you’re not real familiar with working in the round. Also, use stitch markers, because it’s real easy to lose track of rows (called rounds). Before I tried amigurumi, I had made several hundred thread #10 3D lace Christmas ornaments, so I did have lots of practice working small and in the round.